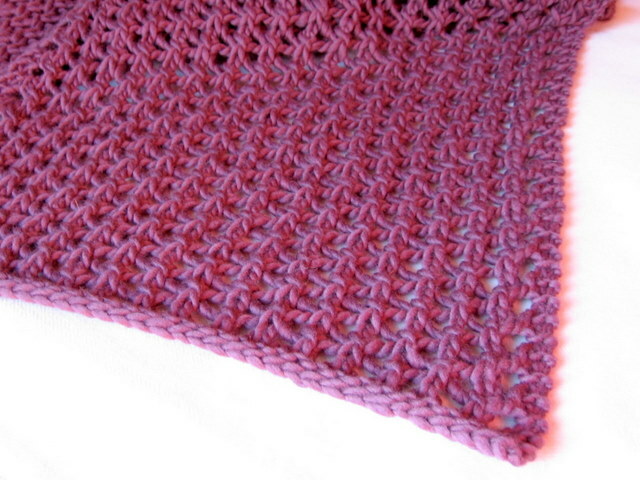 In the meantime, I've popped online to catch up on the news and to post some pictures of another finished project. Here is the second Stolen Moments Wrap. 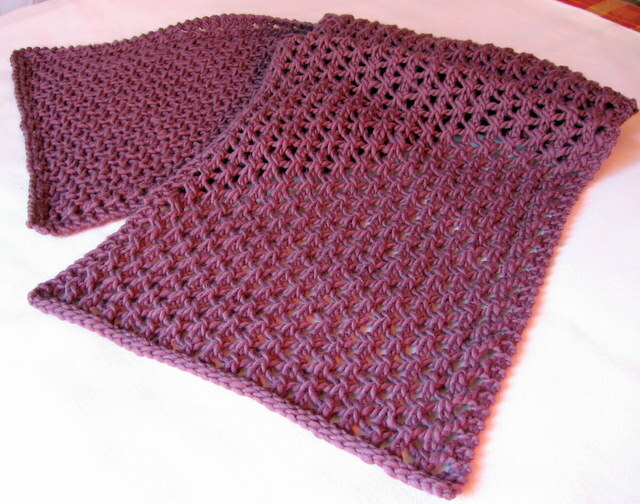 This was knitted up using another ten balls of Paton's Funky Chunky, this time in an aubergine colour which I think has come out quite well in the photographs. I used 9mm needles since they'd worked well on the first wrap and wasn't disappointed with the result. The wrap has been lightly blocked to open out the lace pattern and came out at 227cm x 48cm, so quite sizeable and equally snuggly as the first.